Call this Gorgeous New Construction, Home for the Holidays! 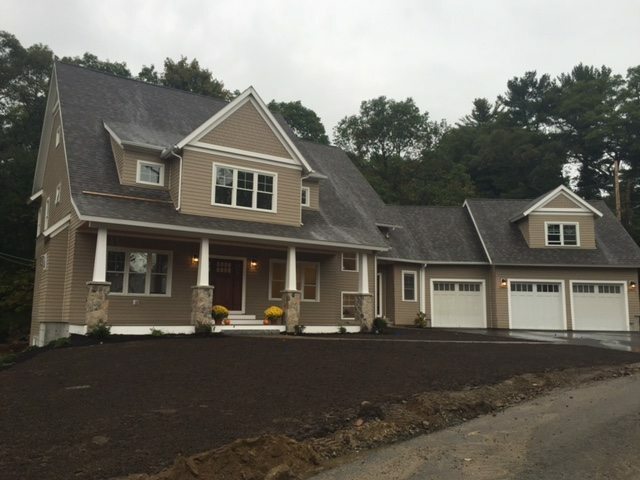 Custom Architecturally Designed Craftsman Style Home located in Lynnfield’s Newest Sub-Division! This new home exemplifies attention to detail and was built to stand the test of time constructed with Premium and Energy Efficient Building Materials. The Farmers porch, complete with Field Stone Columns, Welcomes you into your Main Foyer with Fireplaced Formal Living room and Large Dining Room. The Main level offers a true Open Floor plan complete with Family room, Chef’s Kitchen with Wet bar and Large Pantry. Two bedrooms on the second level with en-suite baths,Giant Study with WI closet, Laundry room, and Master Suite. The Master Suite offers a True Retreat with 14 ft Cathedral ceilings, Double Walk in Custom Closets, Master bath complete with jetted soaking tub, tiled shower, Large Double vanity and Powder room. A 3 Bay, two car garage offers space for storage and an additional 700+ sq ft above the garage has endless options! Professionally designed landscaping with irrigation. One of the most sought after School Systems on the North Shore and the addition of the popular Market Street outdoor shopping center make Lynnfield a Must See North Shore Community! !